Top 900, 500 ml. Wood box. Home > Extra Virgin Olive Oil>Aceite 900>Top 900, 500 ml. Wood box. 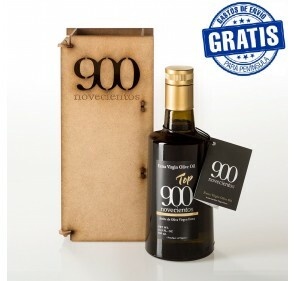 Extra virgin olive oil, Top 900. 500 ml bottle glass. Wooden box. Coupage of picual, picudo and hojiblanca varieties. It presents a different sweetness with a subtle touch to grass and tomato. 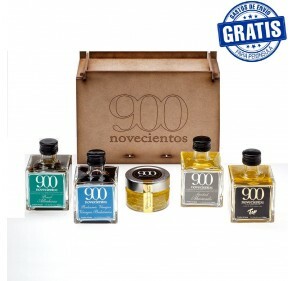 FREE SHIPPING TO PENINSULA Pack 7 miniature 900. 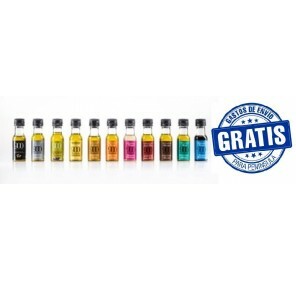 20 ml. 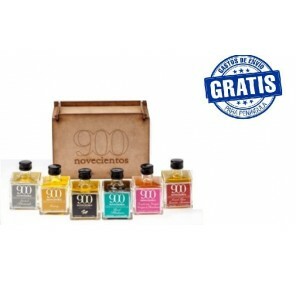 FREE SHIPPING TO PENINSULA Pack 3 products 900. You can choose: jellies, EVOO TOP and / or aromatics. FREE SHIPPING TO PENINSULA Wodden box with 5 products, one of them is spheres of oil and you can choose the other 4 products like you want. Wooden box of 6 products. FREE SHIPPING TO PENINSULA Wodden box with 6 products, you can choose the products you like. 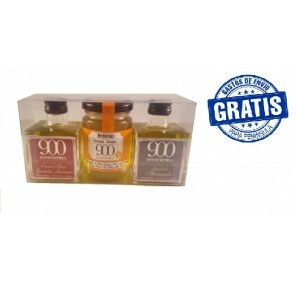 EVOO Oleo Vital 900. PET. FREE SHIPPING TO PENINSULA Small top-quality extra virgin olive oil pearls jar. Box of 15 50 gr. glass jar.